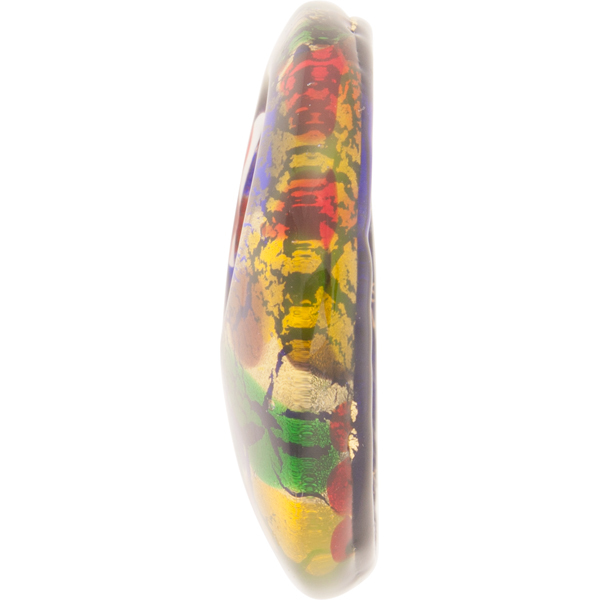 This is a Bright multi-colored frit (small fragments of glass used as a decoration) set over a base of 24kt gold foil to create this 50mm curved round Murano glass pendant. The pendant is fused for the layers of glass to melt. 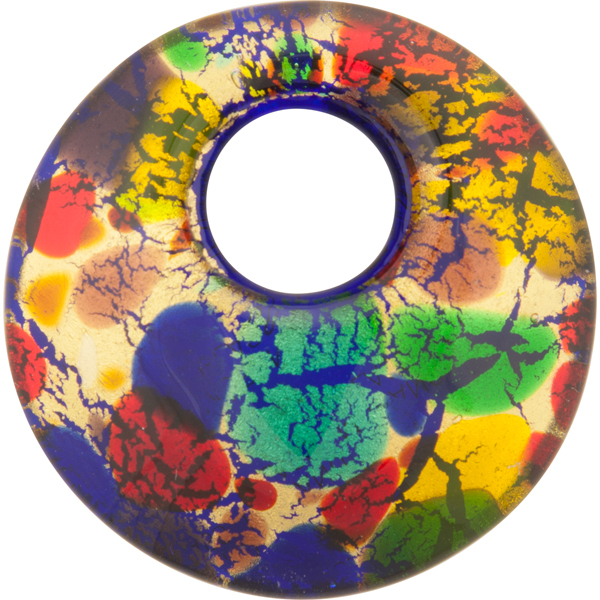 This piece is the definition of a focal bead! Placement of frit is random no two are ever exactly alike. You need only a leather cord to loop on this to make your Venetian Jewelry. It's a DIY easy!